AI startup uses NVIDIA® Tesla™ GPUs with the cuDNN-accelerated Caffe deep learning framework to automatically generate sports highlights in real time. Santa Monica, CA.—Dec. 12, 2017—REELY today announced it has joined the NVIDIA Inception program, which is designed to nurture startups revolutionizing industries with advancements in AI and data sciences. REELY’s core technology uses machine learning to leverage broadcast commonalities across a wide array of sports. To speed this work, the company deploys NVIDIA® Tesla™ GPUs with the cuDNN-accelerated Caffe deep learning framework. The result is an easy-to-use product that can automatically generate sports highlights in real time. The REELY platform gives teams and leagues of all levels the ability to easily distribute their content across media platforms with the touch of a button. 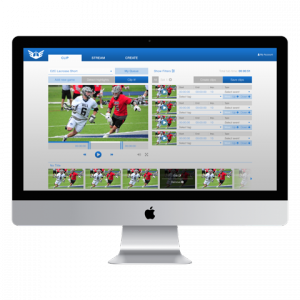 The cloud-based SaaS platform works on multiple simultaneous video streams and gives one person the power of an entire editing department. Inception is a virtual accelerator program that helps startups during critical stages of product development, prototyping, and deployment. Every Inception member gets a custom set of ongoing benefits, from hardware grants and marketing support to training with deep learning experts. From the major leagues to the little leagues, REELY’s mission is to transform the sports industry by using AI and machine learning to automate content generation. The company’s proprietary SaaS platform automatically clips, tags and distributes sports highlights in real time. This technology enables content owners to enhance fan engagement and monetize content more efficiently. We use computer vision and AI to automatically watch, detect and automatically generate sports highlights.